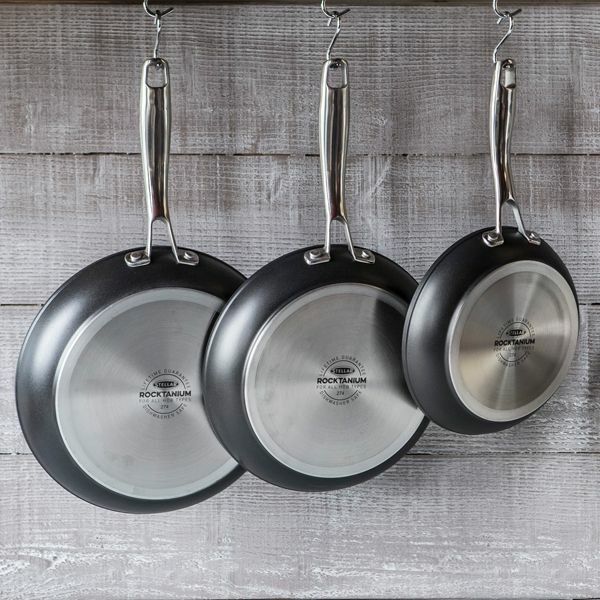 This 20cm Stellar speciality Rocktanium frying pan has a non-stick QuanTanium coating to deliver a scratch resistant and durable cooking surface with a 10 year non-stick guarantee. 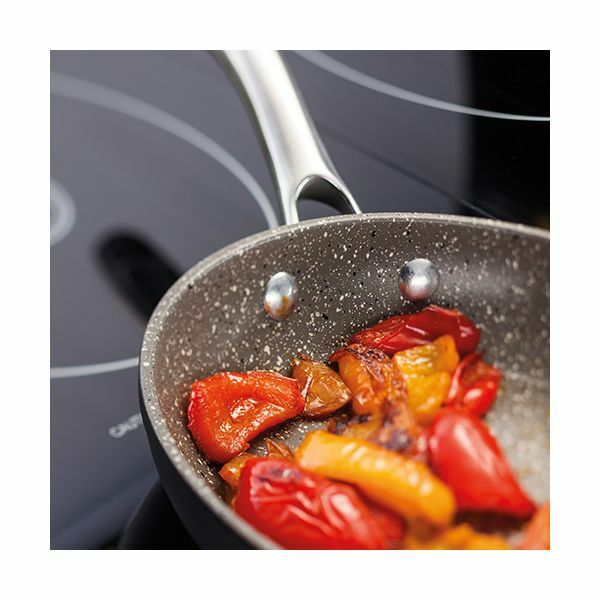 The riveted handle provides and firm and safe grip and the pan is suitable for all types of hob including induction. 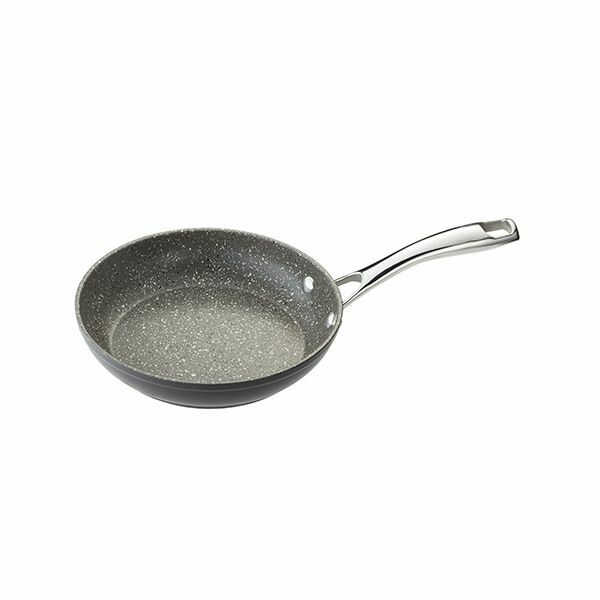 The pan is just what you said it was , a good solid pan at a very reasonable price . Your very quick service was excellent , we received it in no time at all .